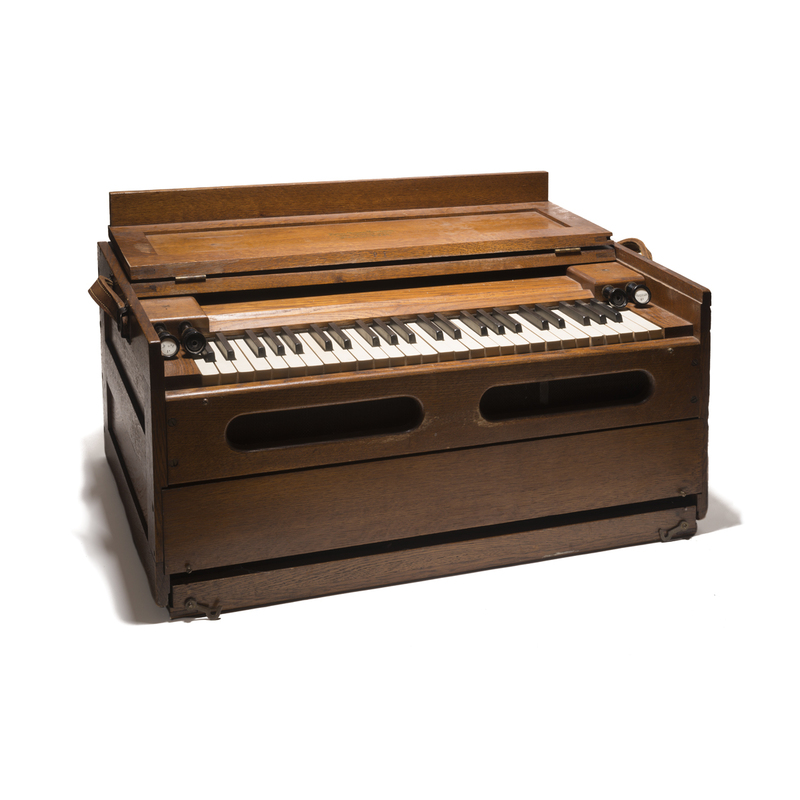 The Estey folding pump organ was prepared extensively across its double ranks, making it possible for timbrally complex dyads to sound with just one key depressed. Reeds were replaced, modified, displaced, removed, or brought to contact with small foreign objects like adhesive tape, pieces of aluminum foil, twist ties, keys, and foam. These techniques highlight timbral effects from interfered reed vibrations, air-to-pitch ratios of individual notes, and air-noise coloration. Integral to the preparation of the Estey was the development and internal integration of the Estey Expander Module, made up of ten small condenser microphones placed at specific locations inside the organ, each with independent volume control. Altering the levels of each microphone altered the perspectives of the sounds coming from the different locations inside the organ, becoming a compositional-perspective tool specific to the instrument. The signal from the ten microphones was processed by the modified boombox several times, to create multiple generations of tape with varied transformations of the original audio signal.